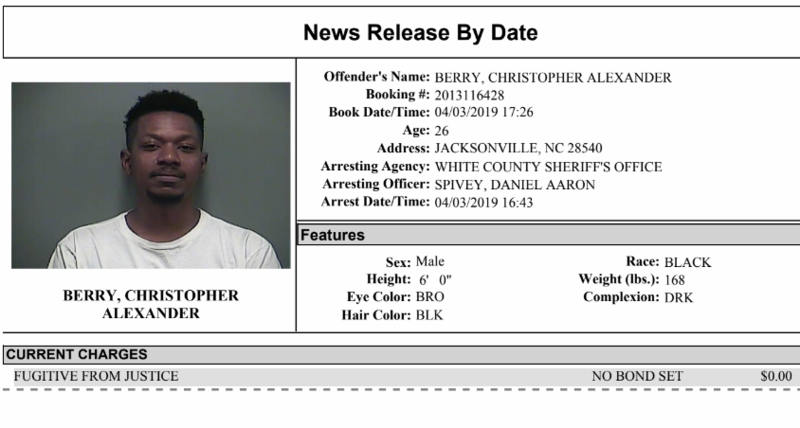 (Cleveland)- Here is the White County Detention Center Report for the period ending April 9, 2019. This report is a list of people arrested and booked into the White County Detention Center. The subjects identified have been charged with a crime, but are not presumed guilty. Note- SOC (statement of Charge) this holds inmate until Deputy can go get Warrants, VGSCA stands for Violation Of Controlled Substance (drug charge.